Micro means it takes a little bit to go a long way. Micro-Nutrition is also the main ingredient in all plant and animal life! In normal situations, if our soil is right, plants get the nutrients they need through the roots. When it rains, the plants use what’s available around them. Unfortunately, most soils are lacking these nutrients due to run-off and years of plants using the same soil. Nutrition is unavailable for the plants to show their full potential. This is why we rotate crops or food plots in fields. In response to a nutrient deficient plant, the wildlife suffers. Healthy plants fuel healthy wildlife as nature intended! 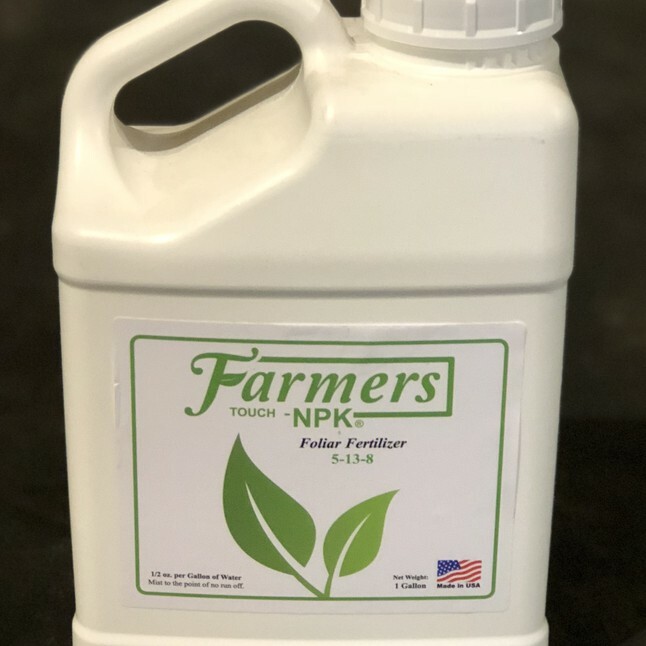 Micro-nutrition is all your minors;npk ( fertilizer ) is your majors. Boron is a key player in seed and fruit production. Copper aids in reproduction and root base. Iron helps in making chlorophyll. Manganese helps in breaking down carbohydrates. Molybdenum helps in nitrogen intake. Magnesium makes plants grow bushier, increases chlorophyll production and deters pests. Zinc is a major player in enzymes and proteins. Each micro plays a key role in its job. If one component is missing, the desired goal will not be achieved. Antlergrow was developed for the shot gun effect. All of the key micro nutrients are in one package at the highest potency to help the plants be all they can be, naturally! Not all plants need the same thing. Plants only use what they need at certain times. If you did a soil test every foot of every acre you plant, your needs would be all over the place. This is why you get a sample over a large area to get a rough draft of your ph or fertilizer needs. Tissue samples of plants are the same; but, if you have numerous plant species in one plot or browse, they each have different needs. For example, soy beans are nitrogen fixing.The first number in your fertilizer would be low; the others would be higher. Your cereal grains love nitrogen.The first number would be higher than the p and k. But one thing they all need is micro nutrients to thrive. Plants ingest up to 10x more through the leaves than intake from the ground. The micro nutrients never leave the plants. They go down to the roots and feed the plants for long periods of time. The reason we like to spray every six to eight weeks is because the plants in their life cycle each year are burning the fuel they need to thrive. Micro nutrition is plant fuel. We say it all the time: healthy plants fuel healthy deer! You put fuel in your truck every week, sometimes every day. Micro-nutrition is plant fuel. It’s as simple as that. If plants weren’t so important, why plant food plots? For that matter, why hunt in the woods or around crops. Deer and all wildlife seek out the most nutritious food source. We just give them what they need through what they’re eating already, upping the digestible proteins plus giving the plants and animals the minerals they each need to thrive!